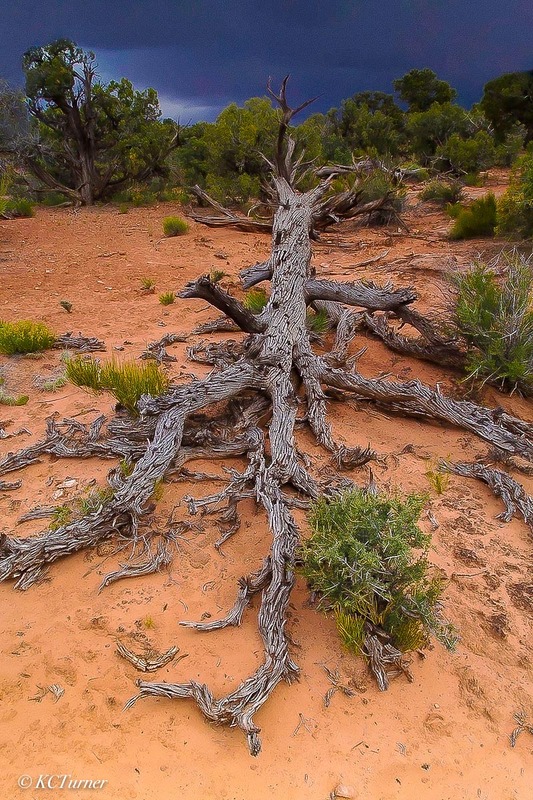 Canyons and buttes abound through out the vast expanse of Utah's Moab dessert...but landscapes and treescapes can also be found in great abundance as witnessed by this eerie tree that looks like a giant lizard. I photographed this portrait about 2 miles from my car and had to work quickly as the looming storm in the background had become quite foreboding. Yes, I had my rain gear (for both myself and my equipment). No, I didn't make it back to the car before the sky let loose...the last 100 yards was quite wet!